i forgot to do this oops: hi, i’m lee!! :v i am 17, a boy, and [email protected] ruined my life. My BEST BEST BEST BEST GIRL IS RANKO KANZAKI!!!!!!! i also love basically EVERY cool girl as it is my favorite attribute! 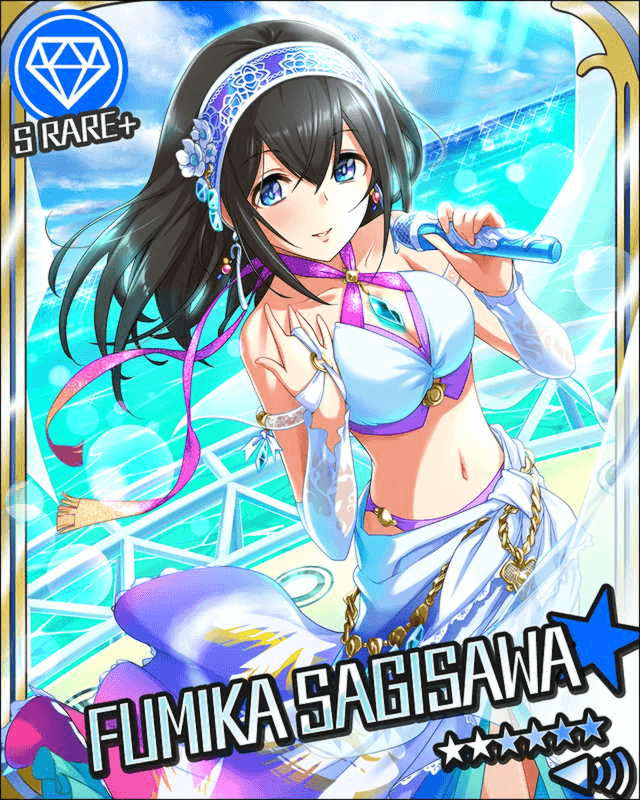 my favorite passion girl, however, is probably miria or kirari, and for cute i’d have to say shiki, chieri, or nana. 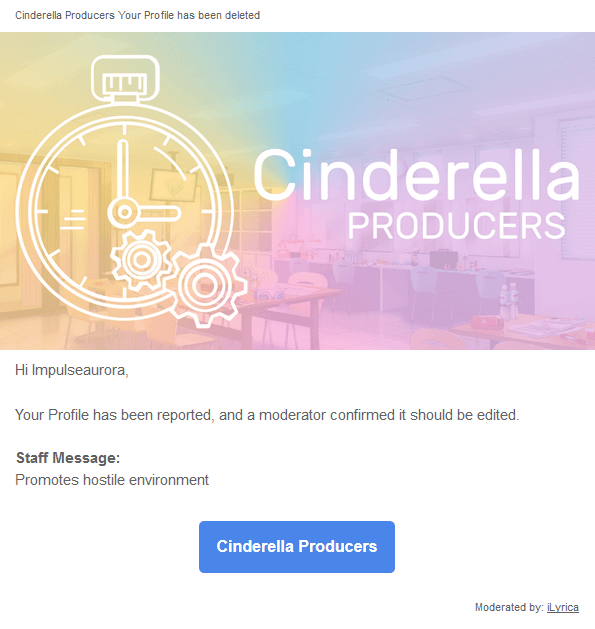 i’m an admin for an instagram account with my good friend, ito (who is not yet on cin.pro), dedicated to [email protected] and it’s literally @/deresute! a link is in my profile :,) give us a follow, we giveaway ssr accounts usually! i think that’s all; i’m kind of shy but feel free to add/converse with me, i never mind a convo :,v ty for reading!!! Oct. 26, 2016, 7:56 p.m. I thought the event was until October 31 i'msad iwon'thaveNatsuki ._. Oct. 5, 2016, 7:36 p.m.
cinderella girls figure are B E A U T I F U L omg? Oct. 6, 2016, 1:59 a.m.
Oct. 26, 2016, 3:33 p.m.
Sept. 25, 2016, 12:35 p.m.
Oct. 6, 2016, 2:20 p.m. I think Shimamura Uzuki is a too flawed and uninteresting of a character to be used as the Main Character of the [email protected] Cinderella Girls anime. As a Main Character, certain traits and characteristics are needed for him or her to become likable, relatable, and ultimately enjoyable for the viewer to read/watch/follow. Uzuki, similarly with Ikari Shinji, has none of those things. Yes, Shinji from Shin Seiki Evangelion is our mirror and template that we will use today to analyze the strengths and weaknesses of our Gambarimasu Girl! Uzuki is normal, ordinary, bland and overlooked, both Uzuki and Shinji got the lucky chance to GIT GUD. Sadly, as much as they tried to do, they never once /really/ got good. You see, Uzuki was created to showcase an ordinary girl that would one day, with hard work alone, become amazing. Shinji is the same. He's "The only one" that can pilot Eva 01, and he's really bad at it. With hard work, dedication and cheers, he manages to get good. That is, before the introduction of Asuka Langley Soryu. Both Shinji and Uzuki do not have friends, instead gain them over the course of the series, and are shelved after a certain point in time. Both of them get their 5 minutes of fame, Uzuki till the rest of the Cinderella Girls cast is introduced and Shinji till Asuka is introduced. Because of the increase in characters, each one is supposed to have their own time to shine. 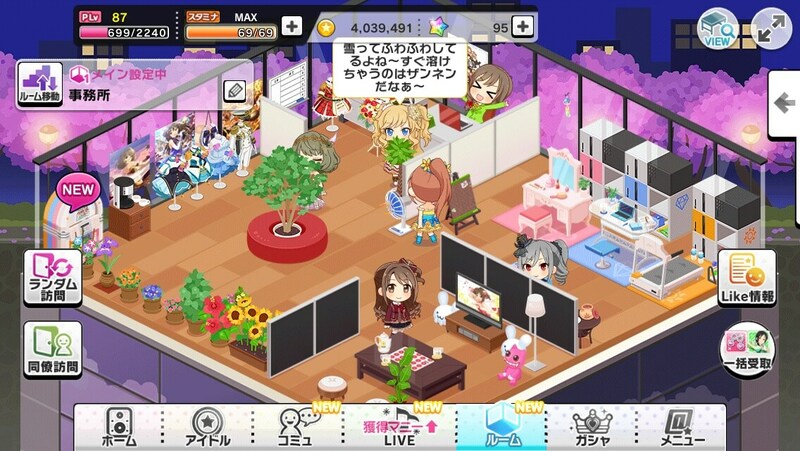 Uzuki, being the MC, is actually shelved as a reflection of how unnoticed she is. Shinji on the other hand, is shelved because Asuka dominates the scene, shoving him to to back end. Both characters have their similar characteristics; They fall off, are no longer as good or strong as the other characters. They fall into some sort of mopey depression, and in Uzuki's case, almost becoming Haruka. If she really went that far and talked to little Uzuki, we'd have a lot more to talk about. Now see, Uzuki begins to pick herself up after Kaede's episode, as soon after is her own. Similarly with Shinji, who is brought back into view right when Kaworu gets involved with the Evas. There's a lot more to talk about, but I have some DotA to play. I'll be back! Oct. 26, 2016, 3 p.m.
Oct. 3, 2016, 8:45 p.m.
My entry for the Room Decoration Contest! Oct. 2, 2016, 12:22 p.m.
Oct. 3, 2016, 4:44 a.m.
Oct. 3, 2016, 5:31 a.m.
Oh I suppose it's introduction time again is it? 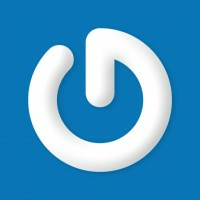 Official launch business. Hello everyone. 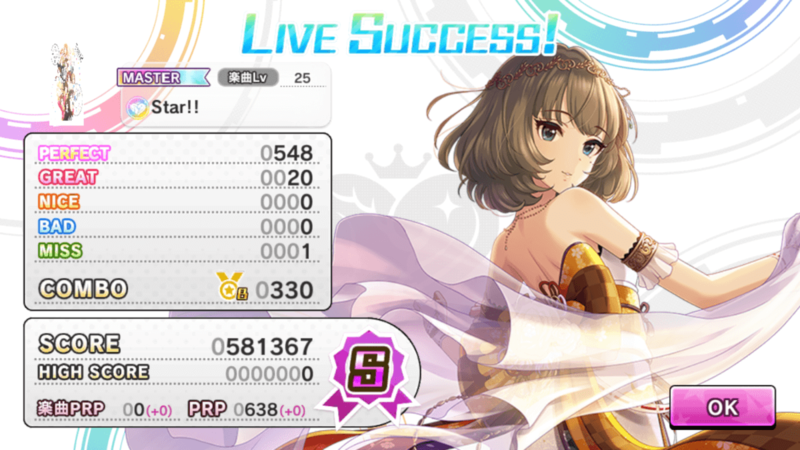 I'm an awful deresute player who plays this game for fun. I'm a PassionP (mostly because of RNG). 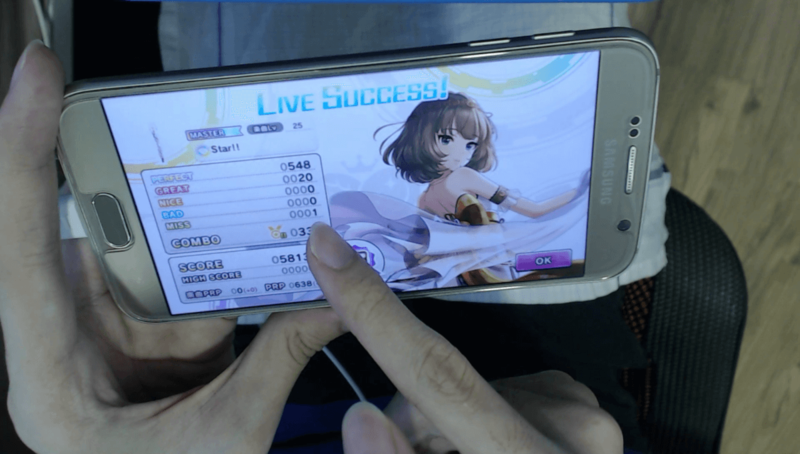 I discovered this game in the Twitch.tv dumpster (streams with <30 viewers) early this year, but only picked it up 3-4 months later after I got into rhythm games on 9th June 2016 (very late, I know). Walls of text are awful, so here's some quick facts * Hardest clears are Trancing Pulse Master, LEGNE Master and ラブレター Master+. 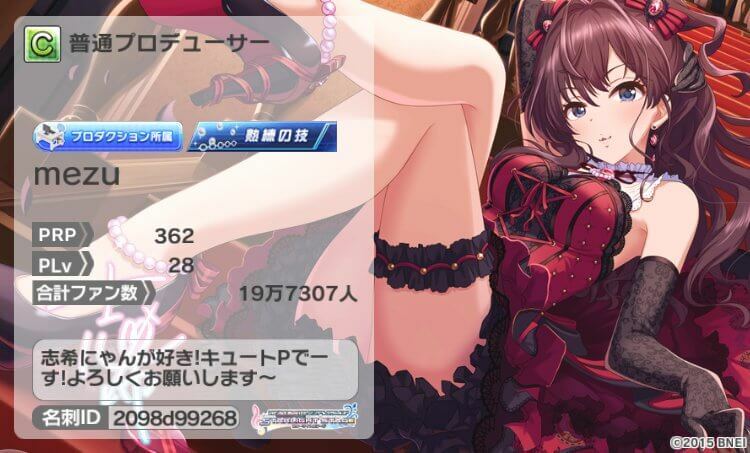 All in the 40 miss region, literally nothing to be proud of * Highest level full comboed is ススメ☆オトメ ～jewel parade～ (Cool ver) * My first full combo on Master was 熱血乙女A (69 PRP) * My favorite songs in this game are 咲いてJewel and Love∞Destiny. Everything else is a tossup depending on mood * [I recently pulled all 3 cinFest limited SSRs and a Koume SSR in 6x10 pulls. ](https://www.youtube.com/watch?v=40gwpjngqHY) * Despite that insane luck, I'm usually extremely unlucky in real life. 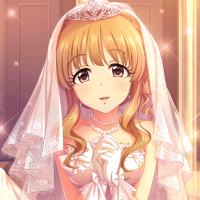 * My favorite girl in this game is Yorita Yoshino * My first SSR was Yumi Aiba. I had to re-roll 95 times for an SSR when I started playing, consuming over 20 hours of my life. * I'm a filthy min-maxer who loves to understand and analyse game mechanics * Thanks to the cinfest, [THIS is my strongest team](http://i.imgur.com/BR7wLkfr.jpg) regardless of color. Koume and Uzuki are not max bonded. None of the idols have any potential awakened. 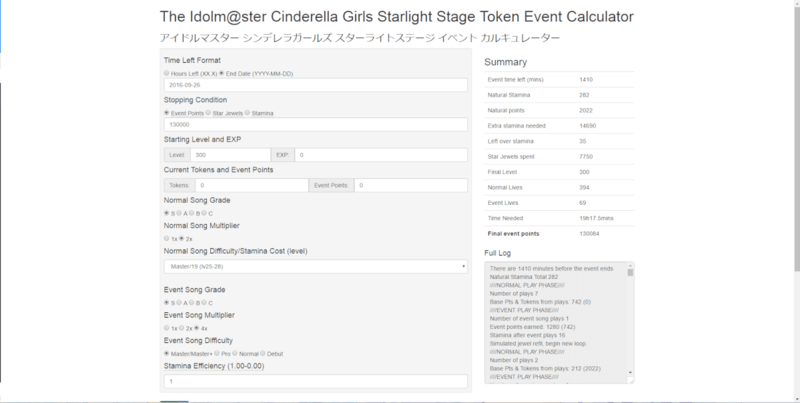 * I'm secretly polishing a Token event and Live Groove event calculator I made for release sometime Soon™ * The other rhythm game I play actively is [K-Shoot Mania](https://www.youtube.com/watch?v=yUOt8h1zQrU) * I'm still in the process of learning Japanese. My grammar rules are fine, but my vocabulary is practically nonexistent.